Your home’s air ducts can collect all sorts of unwanted substances. Dust, mold, pet dander, insects – these collect in your air ducts and get circulated throughout your home every time your home comfort system runs. And, that can lead to poor indoor air quality. When you trust the professionals at Boelcke Heating and Air Conditioning to provide you with duct cleaning, you’ll enjoy healthier air in your home. Using Total Source Removal cleaning process, we can eliminate unwanted debris in your home’s duct system. You will be able to see for yourself all of the dirt and debris that we remove from your duct system. More importantly, through the use of remote video inspection cameras, you will also be able to see how clean your duct system is when we finish cleaning. Count on Boelcke to provide you with professional duct cleaning and much more. 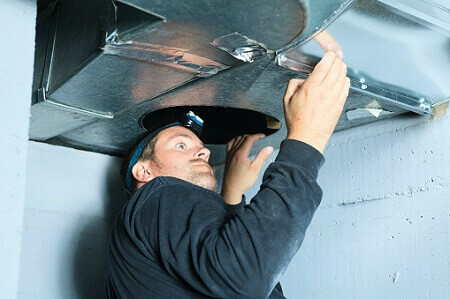 When you need duct cleaning from a qualified specialist for your home, you can trust Boelcke Heating and Air Conditioning. We can help meet all your home heating needs, large or small. Simply give us a call at (269) 429-9261, and we will be more than happy to assist you.